Gunners given permission to make midfielder approach. Arsenal have been given permission to hold talks with midfield star Adrien Rabiot by Ligue 1 champions Paris Saint Germain, according to the Metro. Rabiot has been strongly linked with a move to the Emirates Stadium in the last few weeks, and is available for transfer after turning down a new contract at the end of last season. Arsenal’s London rivals Chelsea are also said to be interested in his services, but reports in France have suggested that the Gunners are now in pole position to land his services after PSG gave them permission to approach him. 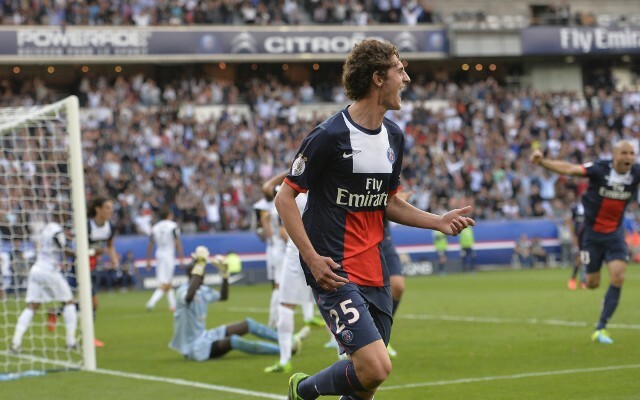 A left-footed and creative central midfielder, Rabiot has been followed by Arsenal for years and is regarded as one of the biggest talents in Ligue 1. However, Rabiot has grown frustrated at the lack of regular first team action in the French capital and that is thought to be the main reason for his decision to leave. His exit could also aid the club in their pursuit of Real Madrid’s Angel Di Maria as they continue to grow wary of FFP regulations. PSG are hoping to earn a fee of around £5.6m (€7m) for his signature.